Teenage years are a very powerful identity forming time. Teens look to their peers for identity and values and they weigh these up against what they have absorbed from their parents. A bad fit high school can leave a young person feeling very vulnerable. What makes a “good fit” is very individual but it includes personality and interests as well as race and family culture. You can also add geographical location and transport to school as “good fit” factors . For example, one of my own boys chose to go our nearest local high school because he likes to ride his bike and have his friends close by and we live in the neighborhood. It also fits for him because they have a great music department and he plays the trumpet. My other boy chose a school that was a train ride away. It fits for him because he was looking for some independence and space from our family. 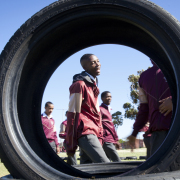 His school encourages the learners to be responsible for their own lives. (Parents never write sick notes or late notes). He likes this. He is also a lover of beautiful spaces and he likes their gardens. Happiness factor. The other question parents need to ask is – where is the best school that I can afford in my area? This blog focuses on helping parents get that answer. 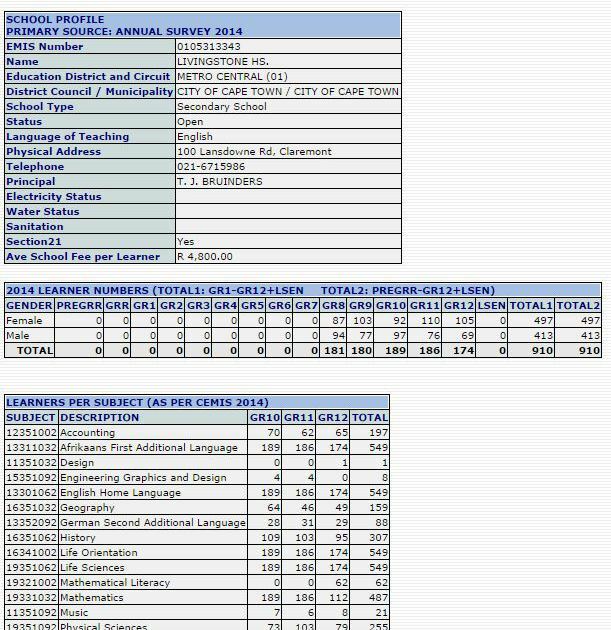 All data is for government schools in the Western Cape collated from public websites. Most schools are pretty quick to mention their matric pass rates and slower to offer the details that make up this pass. This is understandable as it tends to be a media focus, but far more important than the pass rate is the bachelors pass rate. In the past the bachelor pass was called a matric exemption. 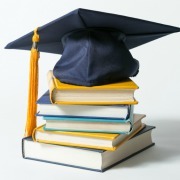 A Bachelor pass allows the learner to apply for tertiary studies. Research shows us that the further a young person gets with their education, the more likely they are to find employment and the higher their salary will be. As a parent considering high school enrollment, you should definitely be investigating the bachelor pass rate. The graph below helps you do this. If you click on the graph it will open in an interactive program called Tableau. Tableau allows you to edit the data to show only schools in a particular fee band or to select a particular school from the “high performers” drop down menu. Only schools with Bachelor pass over 60% are named on the graph. From SAILI’s perspective, you don’t need to pay extraordinary amounts of money to get a good public school education. But you do need to shop carefully. Many schools attract students via reputation and cosmetic things like fancy uniforms. You can see from this graph that there are a lot of schools sitting below the 60% line and some of these are charging substantial fees and offering sport and music and other nice looking things but not producing academically. Apart from Bachelor performance, it is important to consider drop out rate. Research shows that the very worst thing that can happen to a young person’s education and career prospects, in South Africa, is dropping out of school. The second worst thing is not getting a Bachelor pass. A quick way of checking drop out rate is to look at the school’s profile on the Western Cape Education Department’s WECD FIND A SCHOOL Site. Take Livingstone High School below for example: we can see from the data that the school has roughly the same number of grade 12 students as grade 8. This more or less tells us that drop-out here is non-existent. Also this website shows fees, contact details, the subjects options that the school is offering and the number of students currently enrolled in each subject. High maths enrollment is a good sign that the school is pursuing academic excellence. 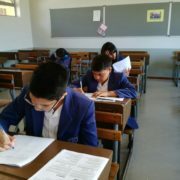 You can also ask the school directly for how many code 7s or As they achieved in their matric for a particular subject. SAILI looks for 10% of kids writing to be in the top performance band. The renowned scientist and politician Benjamin Franklin said “An investment in knowledge pays the best interest”. Your child’s education is probably the biggest financial investment you will make in their future. Like anything else important you buy, you will want to get the best fit product at the best price. Take the same mindset with you when you go school shopping and set your child’s feet firmly on the path of learning. Please could you build similar dashboard for the Western Cape Primary Schools, ie school fees in proportion to litnum(systemic or ANA test results. I applaud your work for high schools (can it be updated with latest results). As parents we need value for money assessment tools like yours given the fees some schools charge, u often don’t know whether its worth paying such exorbitant fees (usually just so that your kid doesn’t sit in a 38-40 learner class. You make so many good points here. The data we used to make the High School view was available publicly – we could download it from the WCED website, crunch it a little and link it to the school fees data which is also public. Sadly since then the WCED has stopped releasing data in ways wee can usefully use (I can only assume that they are reluctant to do so). As far as primary school data goes, there is nothing really useful that is publicly available. Schools receive their ANA and Systemic data and can choose to share this with parents etc at their own discretion. This makes it impossible to prepare similar views for primary school. In September last year wee did the best we could with primary school data – really only fees and location and decided not to post a blog about it – you can see it here. Regardless, I will make a data request to the WCED and see what they have to say about releasing the required data. In any event, SAILI does a great deal of data capturing in the course of our recruitment and have a great deal of insight into the primary school system and may be able to publish data based on this rather that rely on the WCED data. All the best and thanks for your feedback. Hi my name is Thembi , I have a son who is a talented Cricket player and is going to high school in 2017. Since February this year I have been applying for sports scholarships without success and I also applied to other schools and no luck yet. The schools that offer the best sporting opportunities are out of my league in terms of affordability and I am panicking since time is not on our side. Could somebody help my son please. Hi, I’m not sure that I can offer you any good news. It is too late now to be applying for scholarships for next year and also too late to be applying for a high school place. All the good high schools will be full already. You shouldn’t worry though about fees because if you are low income you will be able to apply for a fee subsidy or exemption with the school bursar. 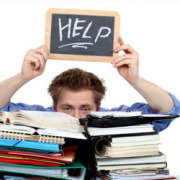 There is more information about that here: http://saili.org.za/website/parents/financial-assistance/ Your big problem now is actually getting into a high school. Tell me where you live and I can have a think about it? Milnerton High is the best performing government school in your area. Hi, You are too late to apply with SAILI for 2018 however Students for a Better Future will open in Jan and Leisure Education Trust will also open then. You should contact them. Hi, If you are in Cape Town you can apply to SAILI for a scholarship for high school. Applications are open in September and the form will be on our website. hi my son is in grade 7 and I would like to apply for a bursary for next year when he goes to High School. I also want a good school for him but I can not afford so can u please help me the bursary. The school which I would like him to attend are these Grooter Schuur, Westerford, St Joseph’s Merit my list goes on. SAILI is closed for Scholarship applications but you can contact Leisure Education Trust or Students for a Better Future. Which school is he at? Hi. I have to make a decision between 3 schools, Edgemead High, Milnerton High and Westerford High. Which schools would you recommend in order. He is very strong academically with a natural affinity for Maths. Based only on academic performance: 1. Westerford 2. Milnerton 3. Edgemead. In reality though you also need to consider cost, travelling distance and school culture. It is very hard to get into Westerford so make sure you also apply somewhere else if that is your number one choice. Hi We have relocated recently and are struggling to find a school with good learner discipline in our area -we live in Plattekloof- the department has asked me to place my children at parow primary .Will appreciate any advice. To be honest we don’t get a lot of insight into the Northern Suburbs schools. You could also try contacting Kay Mason Foundation, as they work on your side. Or phone a high school you like and ask if they can recommend a feeder school. I am relocating to Western Cape . Looking for the best cost effective high school for my daughter grade 11 and son grade 8 . They are A aggregat achievers in all subjects Art , Maths, Physics etc .Looking For school with great passion and dedication and great teachers .Offering sport like sailing , Golf, and tennis etc .Music , piano and all music instuments . Overseas ventures , national science .and all subjects participation . hi my name is Nonkosi my son is in Grade 9 but is not performing good in Florida Hoerskool, Ravensmead in Parow im so worried for him by now, i am looking the best school for him around Khayelitsha please assist. Hi my is Mzukisi my son in grade 7 at Constantia Primary and i’m looking for the school for him high school for next year can you please help me. Hi my daughter goes to seapoint high school she is doing ok academical wich she was no2 for the last term but i was not happy about passing percentage& feel she can do better in different environment.any suggestions on schools with same school fees but strong academical. 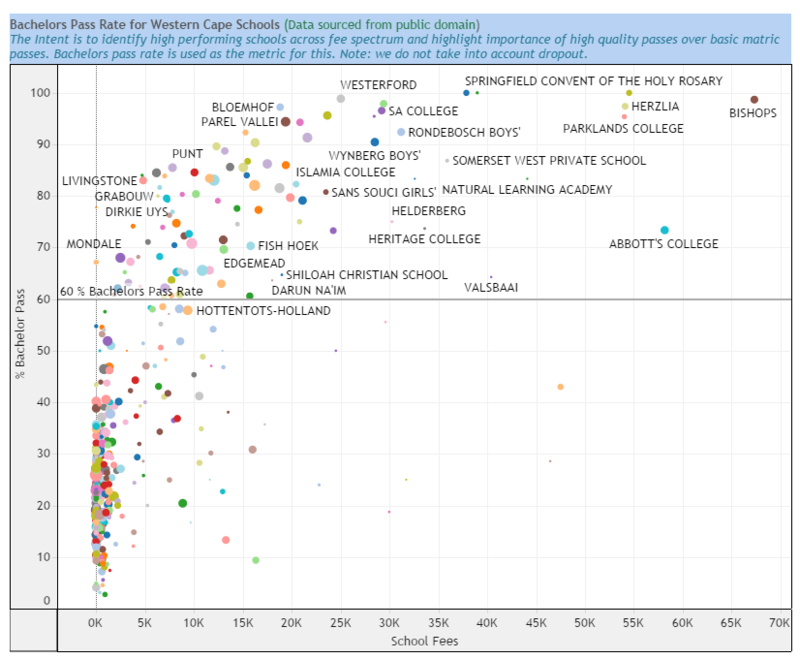 Unfortunately school performance links very closely to fees paid. So you can change school to Cape Town High with similar fees but the performance is also similar. 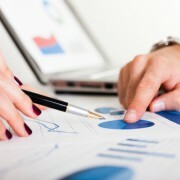 Good Hope Seminary also has similar fees and may have slightly better performance. You can ask these other two schools for their Bachelor Pass rate from matric 2016 and compare it to Sea Point high. Make sure they give you bachelor pass not just pass. It is likely to be a figure around 50%. If you are able to spend more money and travel further then Camps Bay or Milnerton would be the next best options. Afternoon Kath. 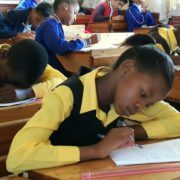 I am looking for a high school for my daughter who is currenty Grade 7 and an average achiever, currently attending Boston primary in Boston Bellville but we reside in Kuilsriver. I know she is leaning towards Settlers high but I need to think closer to home. we are walking distance from Sarepta high but I prefer De Kuilen high structure and spirit even though I prefer Sarepta school fees. Where else could I find in and around Kuilsriver/Bellville schools with academic excellence with reputable extra murals ? The Settlers, De Kuilen, Fairview and Bellville are all good high schools. If you can’t afford the full fees you can apply for a fee subsidy after your child is accepted. The Settlers also has their own bursary you can apply for however it is academically competitive. Good day, my son is currently in Gr.7 and we reside in the Table View area. My son is very outspoken with a strong personality, both his academics and sports are average. I think his strong points are in the Culture or Technical department. He loves acting and drama, he has been acting and modeling for many years, he is in high demand in the industry and does extremely well throughout the entire year. I know there are plenty kids in this industry but he has something special. We would love for him to attend a school that can offer him something more than average in this department. Financially our budget is not suited for a private school. Any suggestions? Hi…I have applied for Grade 8 (2019) for my daughter at Norman Henshilwood High School. I have received a regret letter stating my application was not successful. They had more than 1000 applications for 210 places of which 59 are siblings. I live 5 minites away from the school. I would think they should also consider learners living in the catchment area and it is also affordable as I am a single parent. It is always disappointing to miss out on your first choice school. NH keep a waiting list. You can ask that your application is reconsidered. 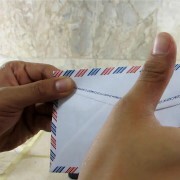 Usually they ask your child to write a letter of motivation and send in the term 2 report. If space becomes available they may reconsider your application. 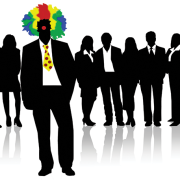 However, as there is a new acting principal, this process may have changed. Thanks for your valuable response. I received notification for an interview at Bergvleit High School for next week. If they do accept her I will not able to afford the school fees and also have to source for school transport. I am planning to contact NH to reconsider . Hi Kath..my name is Olivia…my daughter is in gr 6 currently and i am busy looking at schools to apply for gr 8 in 2020. we live in parow western cape. she is a grade A student and I would like to enroll her in a good academic school. is it possible if you can assist me with names of schools in my surrounding area that i can apply at. i don’t know the history of the schools and i want to choose a school that achieve great academic results and have extra mural activities as my daughter plays piano and is very involved in extra activities at her school. can you please help. thank you so much. My cousin is looking for a boarding school for 2020 and is staying in Capricorn. They cannot afford one but he would like to apply for a bursary or scholarship as he want to be away from the home as the home situation is also not good for him. Please assist as to where he can apply and how to go about doing this.